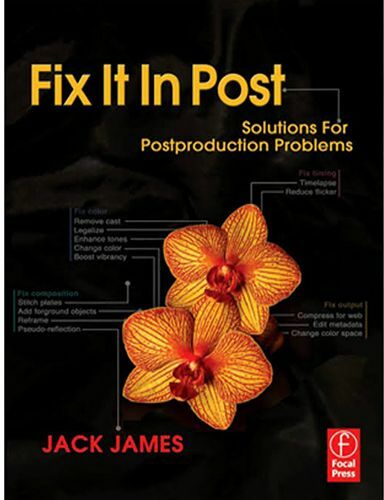 This book provides an array of concise solutions to the wide variety of problems that are faced by postproduction artists in the post process. With an application agnostic approach, it gives proven, step by step methods to solving the most frequently encountered postproduction problems. Also included is access to a free, password protected website that features application specific resolutions to the problems presented, with fixes for working in Apple's Final Cut Studio suite, Avid's Media Composer, Adobe Premiere Pro, as well as other applications. Lessons are enhanced through eye catching 4 color illustrations throughout.